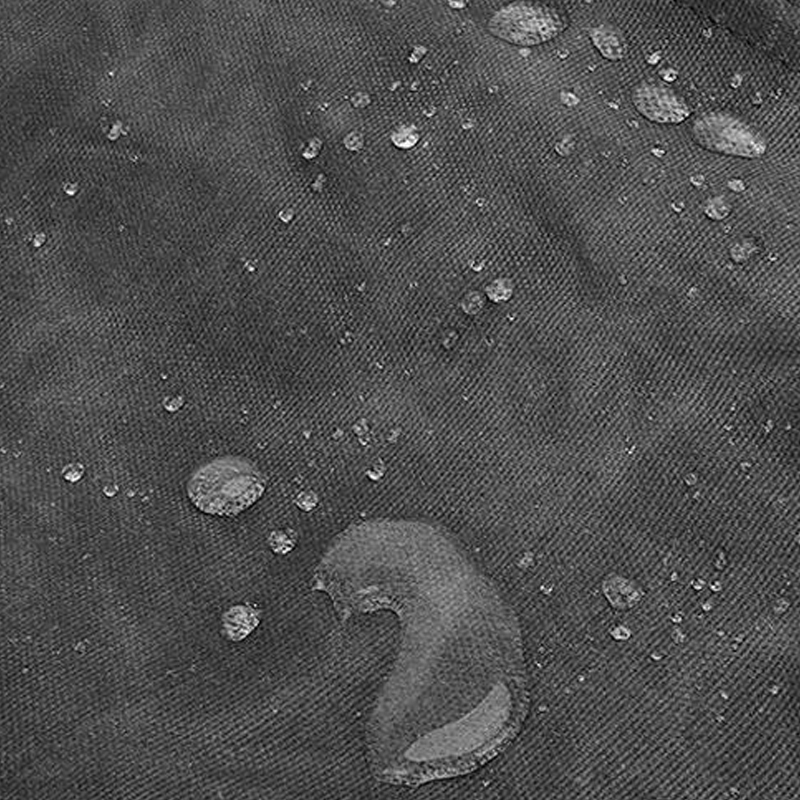 【Superior Quality and Waterproof Materialã€? 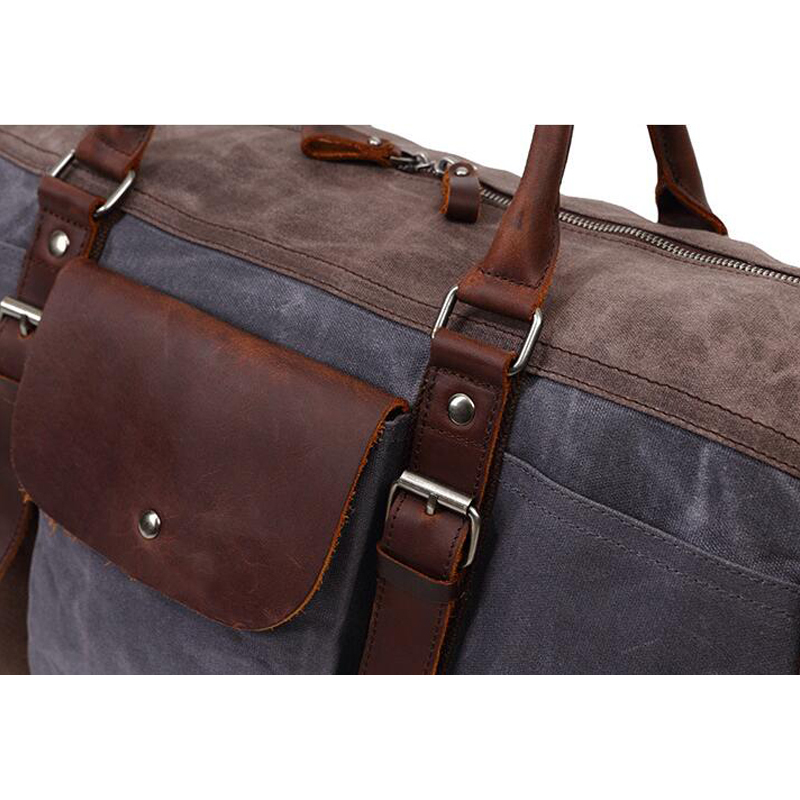 To make it stand wear and tear, this travel duffel bag is made of water-resistant waxed thick canvas, premium quality top layer genuine leather, heavy duty gun-metal hardware and smooth zippers. Items in this weekend bag will be prevented from rain on. 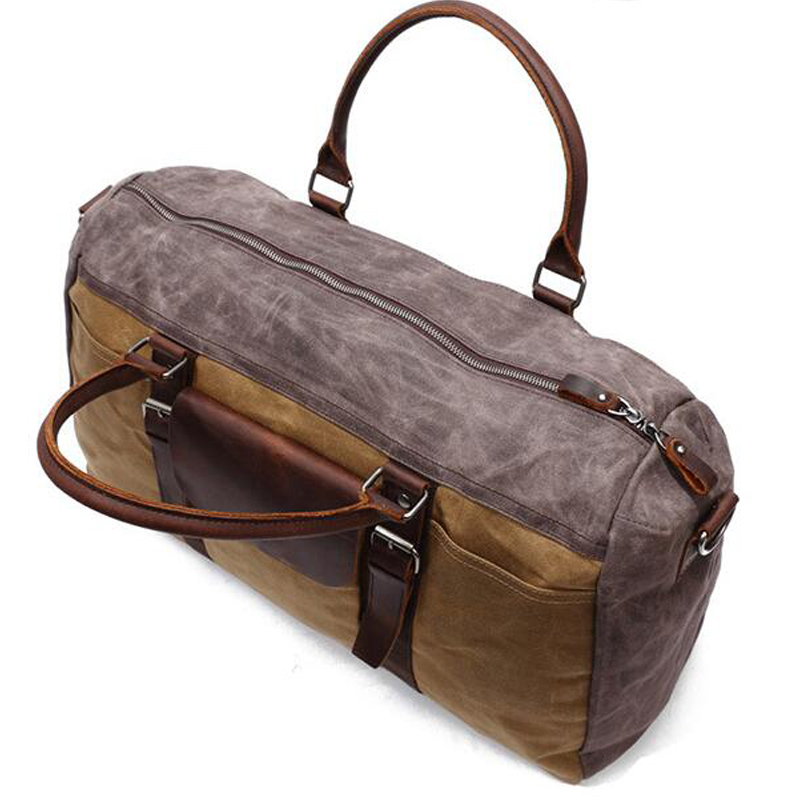 【Comfortable For Carryingã€? 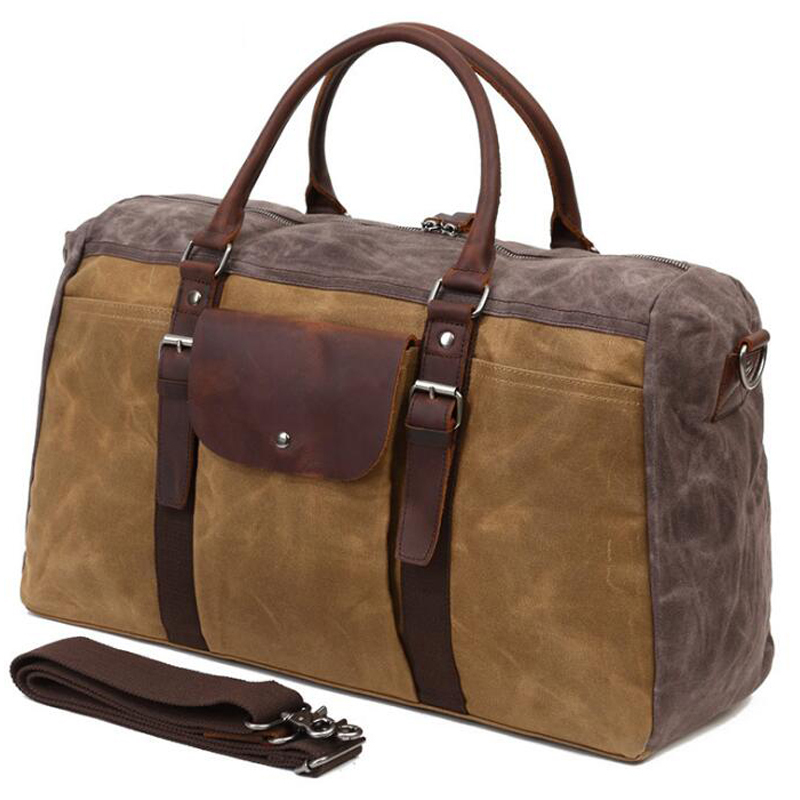 By using the rounded leather handles on top, it's comfortable as a carry on handbag. 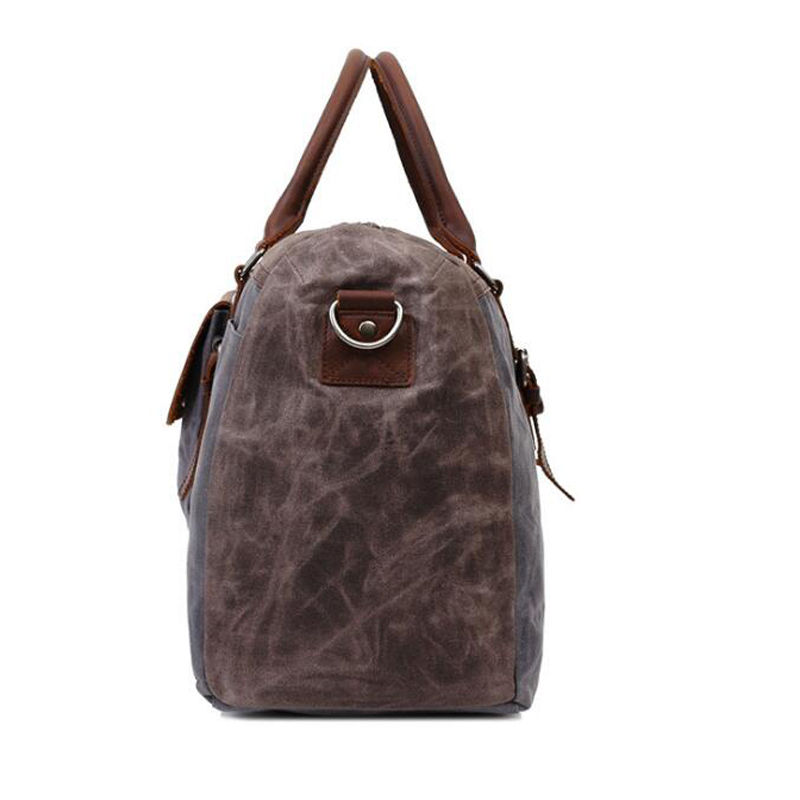 The bag also can be used as a shoulder bag when using its detachable wide adjustable canvas strap. 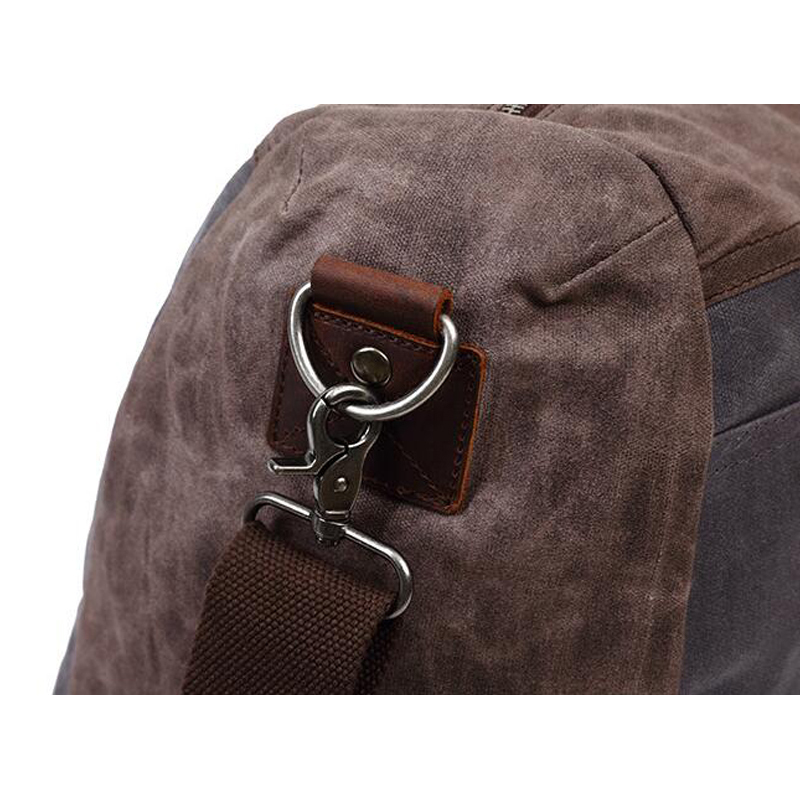 With these two ways to exchange in turns, you will get more relaxed when carrying it. 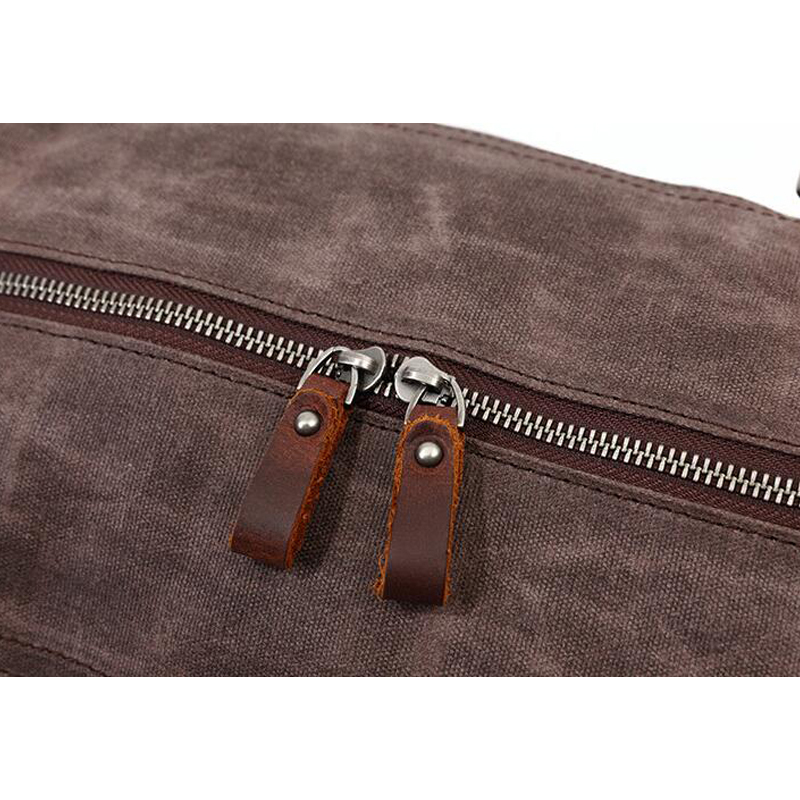 To be applied to different height and body's type, the available length of the strap is from 29.13" to 53.94" and the width is 2". 【Extra Large Size with Plenty Of Spaceã€? 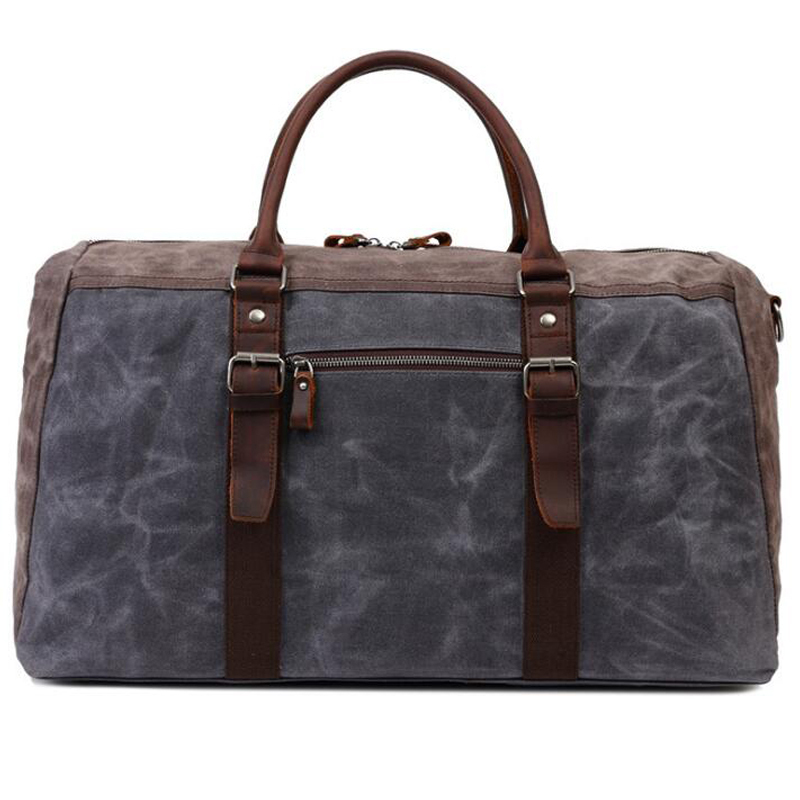 With the dimensions: 21.65"(L) × 12.60"(H) × 8.27"(W), you would be surprised at the high capacity of this waxed canvas tote bag. 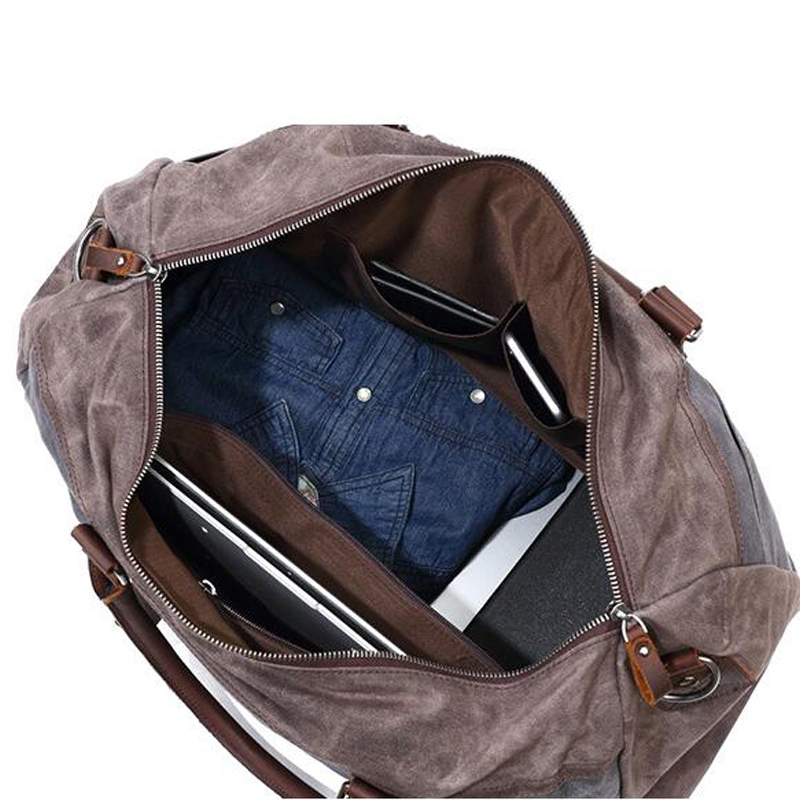 With a large main compartment and various of pockets most of your carry on things such as clothes, books, laptop and other traveling necessities will be easily fit in. 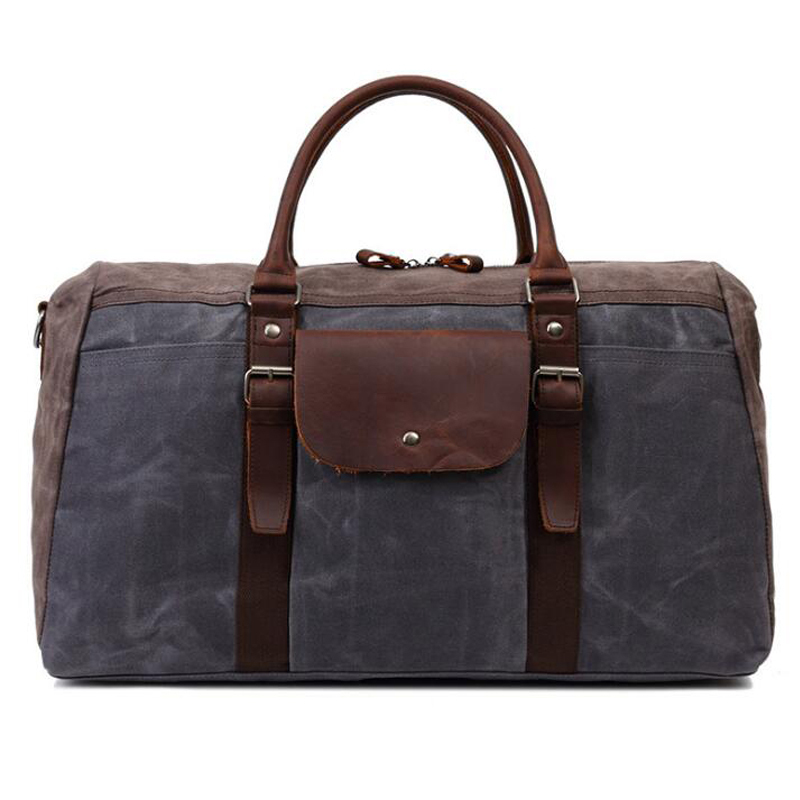 There is ENOUGH ROOMY for 3-5 days' Travel, Weekend Trip or Business Trip. 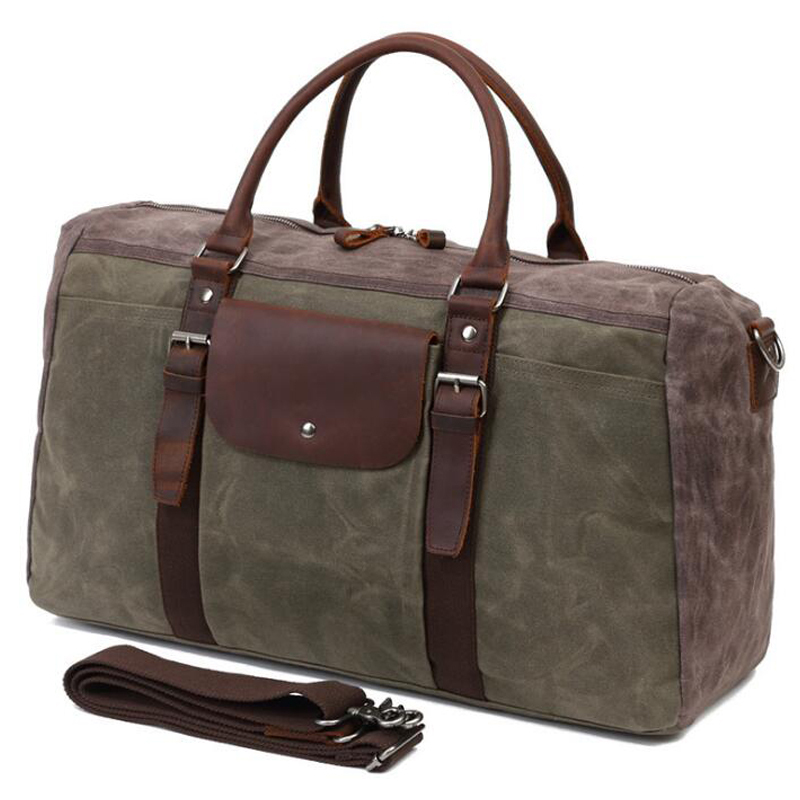 This carry-on flight bag will fit overhead or under seat for travel flight. 【Multi-Pockets & Multi-Functionsã€? 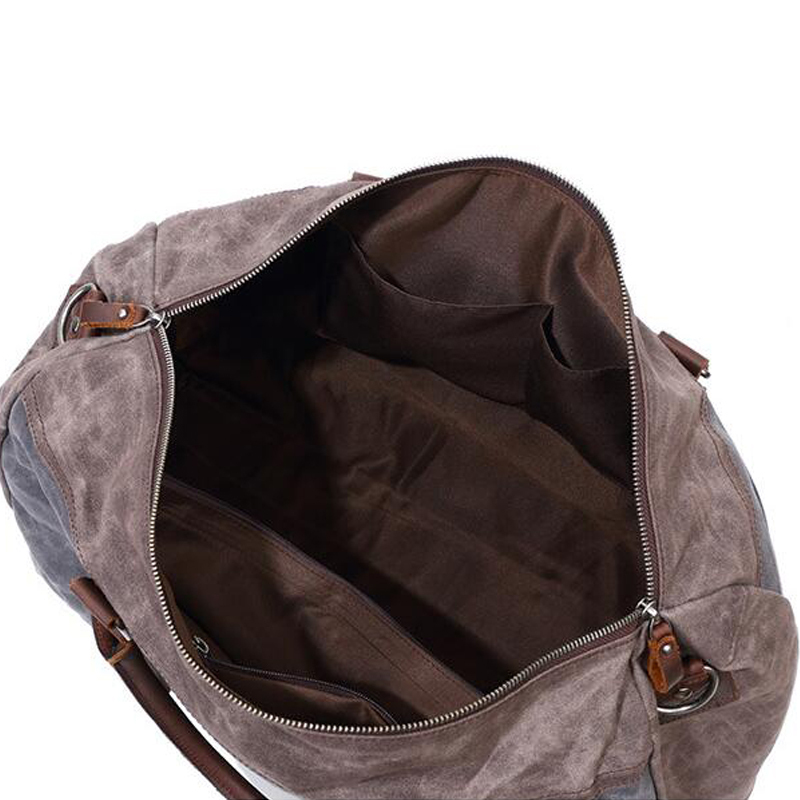 Interior: 1 large main compartment , 2 zipper pockets, 2 small wall pockets. 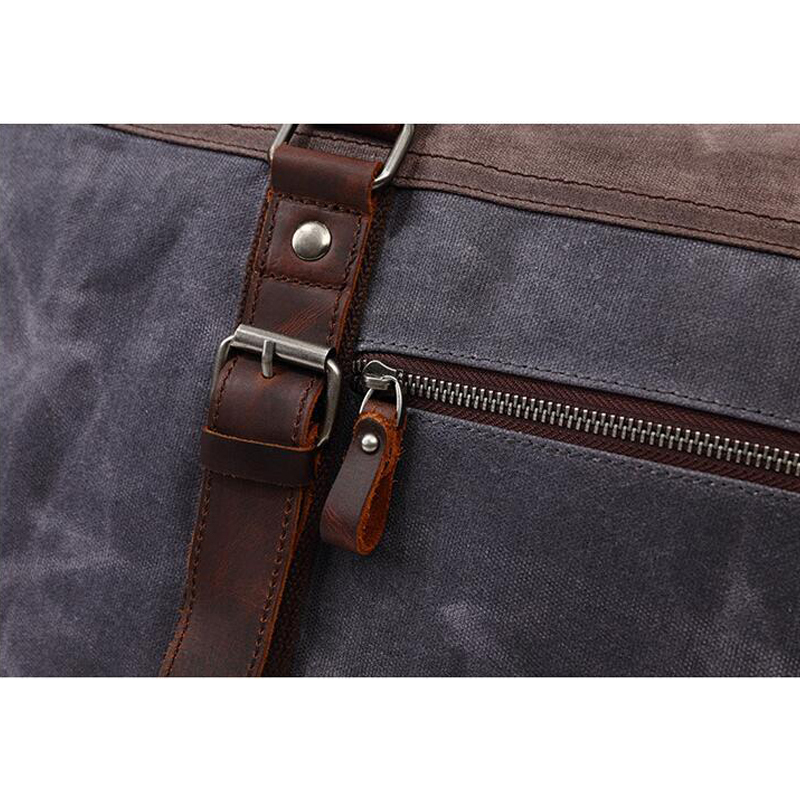 Exterior: 2 side magnetic button pockets, 1 front leather flap magnetic button pocket, 2 front open pockets, 1 zipper rear pocket. 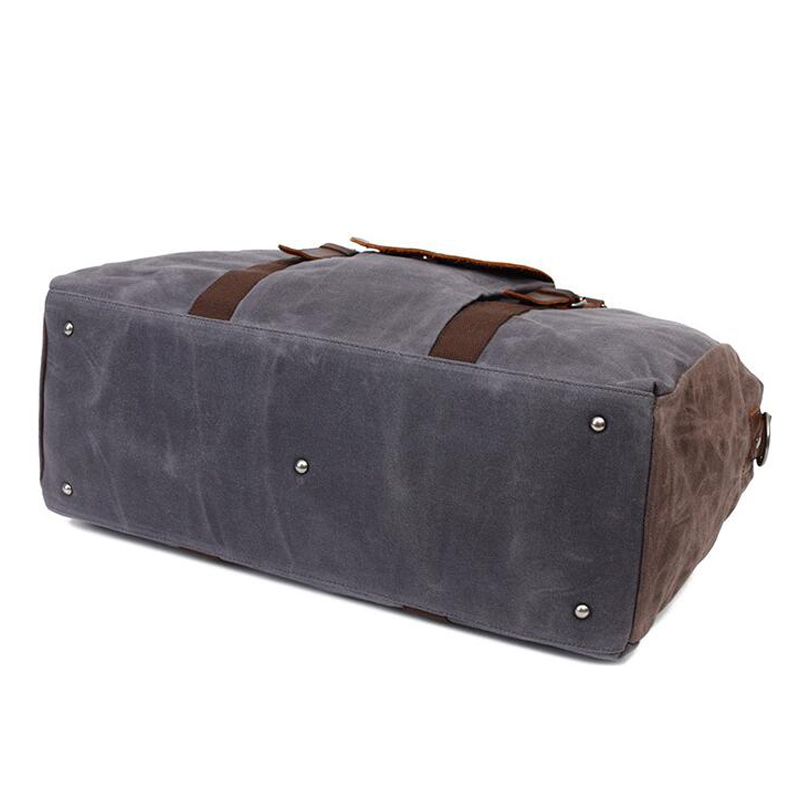 This roomy waxed canvas bag is great choice for a flight bag, business travel bag, large overnight bag, short journey bag, weekend travel bag, sports duffel bag, gym tote bag. 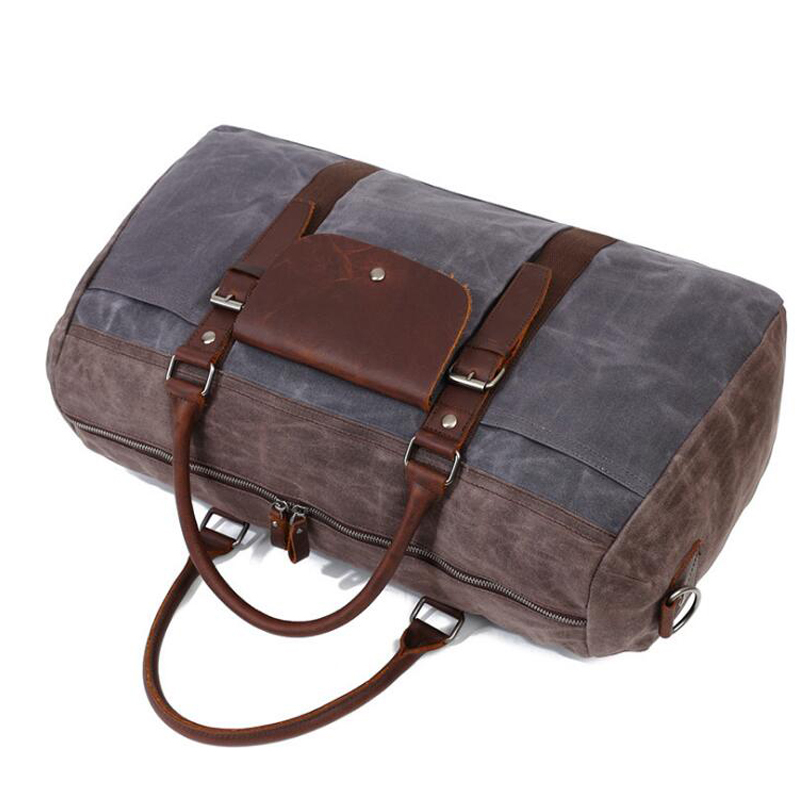 It is usually used for weekend, travel, business trip, gym, sport, camping etc.